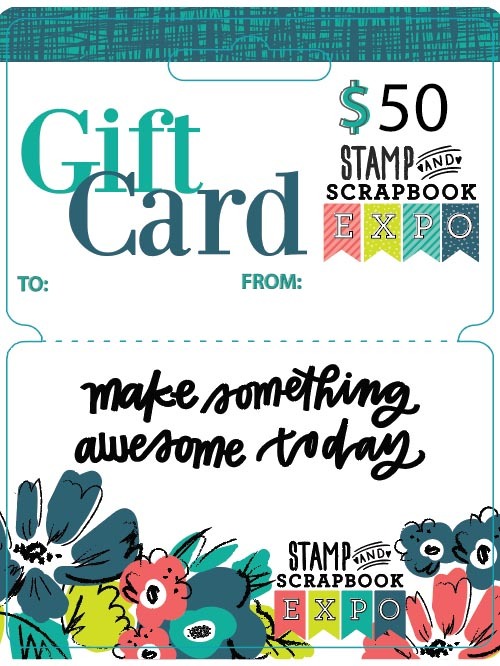 Did you know that Stamp & Scrapbook Expo has gift cards available? Yep! Perfect for any wishlist you may have. 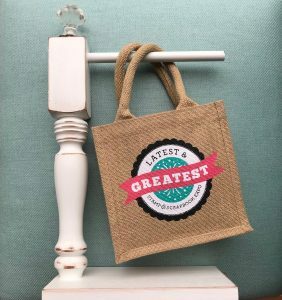 Not only are you able to buy the best Stamp & Scrapbook Expo has to offer, but they also look super cute! I don’t know if I would want to spend the whole amount, I’d want to keep the beautiful card. Just look at one of the designs below; it captures the artistic side of each of us crafters. If you have been lucky enough to attend any of our Crop Parties this year, you have seen us start to give out the gift cards as prizes. If you participate in either the costume portion of our Crop Party or the table decorating portion, then you have a chance to win a gift card. This year we have started to award winners with these special gift cards indicating how they were won. 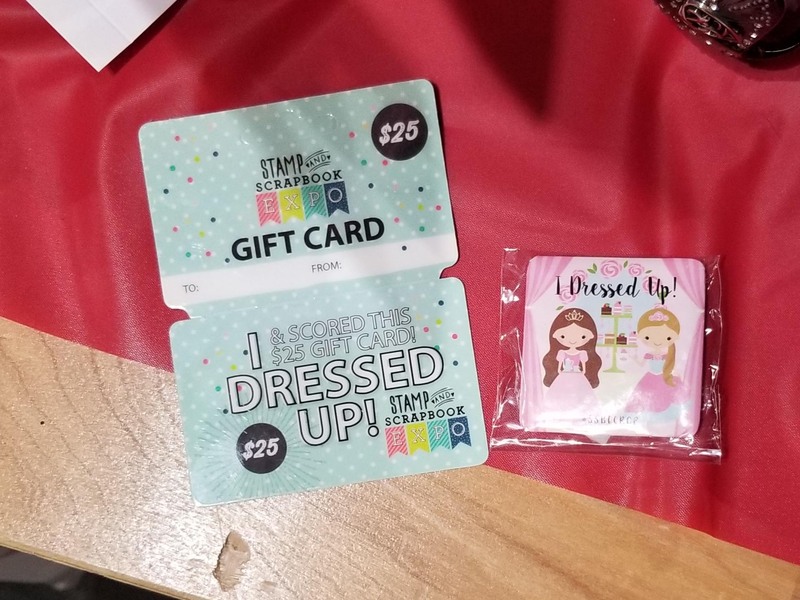 If you win the costume contest your card will say “I Dressed Up and Scored this Gift Card” along with an exclusive “I Dressed Up” button that coordinates with the Crop theme party. If your table wins, your card will say ” I Decorated and Scored this Gift Card” giving you $25 to spend on anything Stamp & Scrapbook sells. Those comfy shirts? Covered! The warm sweatshirts? Covered! 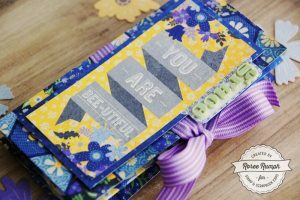 The stamp blocks? Covered! Classes? Yep, those too! Crop ticket? Yep, included! The only place you cannot spend the gift card is on the show floor at individual selling booths. 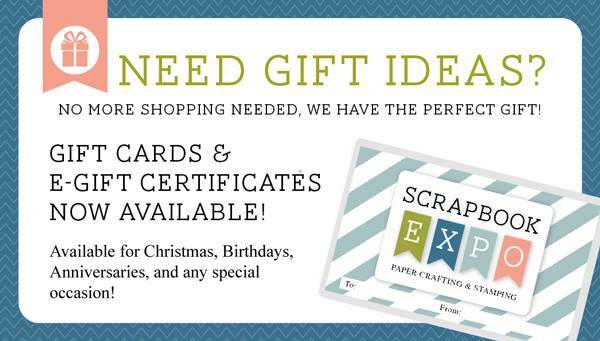 It’s safe to say you can put Stamp & Scrapbook Gift Cards on your holiday list this year! Good luck!!! 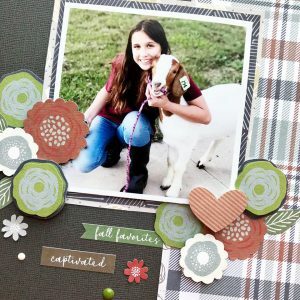 This entry was posted in At the Crop, Blog and tagged Christmas Gifts, Gift Cards, Stamp & Scrapbook Expo.